There, I said it. This doesn’t mean there aren’t any good Catholic speakers. There are… well, a few. You might think your parish priest is even one of them. However, if you take any sample of Catholic preachers and compare that to any sample of Protestant preachers, there really isn’t any comparison. 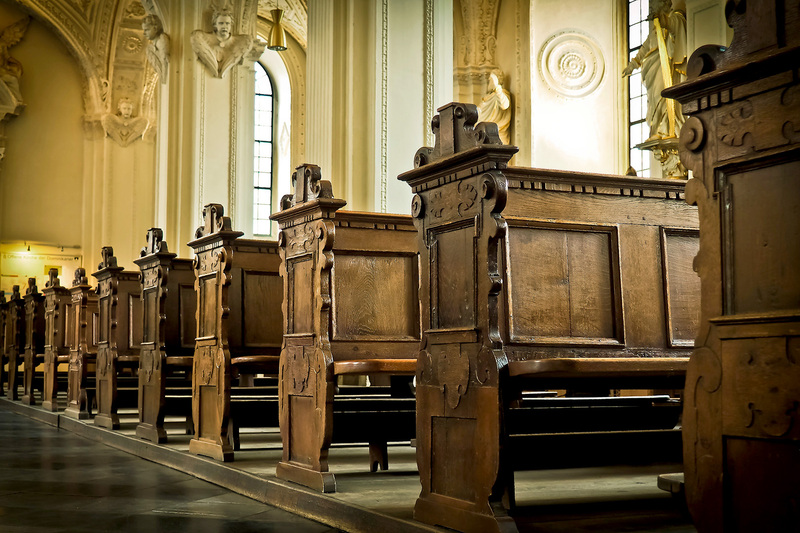 As a Catholic, you may not like the typical Protestant “style,” but they are (in general) much better at reaching their listeners than Catholics. Now compare Catholic preaching to secular speaking professionals… well, that’s bringing a knife to a gun fight. I crave good preaching, spiritual nourishment, and something that I can take from a homily to chew on the rest of the week. Sadly, most Sundays I leave Mass without it. I don’t say this just to complain, criticise, or lament. No, I bring up this sad state, because we desperately need to fix it. I think there is a cause (or perhaps a few) and a possible solution. This is where things get tricky. The temptation here is to oppose the “eloquent” and the “spiritually beneficial.” However, this is NOT the normal state of things. Grace builds on nature. God can (and does) make water come from rocks, but the usual workings of the Holy Spirit is to build upon what is humanly good. Even Mark 7:37 points out that the crowds were amazed with Jesus, that “He has done all things well.” If it’s not quality, it’s not truly Catholic. We can’t throw our hands up and say, “oh well, the preaching is bad, but God can bring good out of it.” NO! We have to do our part; we have to be the best instrument we can. We have to invest our talents in order that they produce a return. If we just expect grace to do everything, then we are truly burying them. Spiritual fruit and being a good communicator go together–although, one is not necessarily a sign of the other. If you ever heard feedback on a microphone, you probably remember: the quiet squeak that suddenly turned into a roaring, piercing squeal. Getting feedback is not a great experience. It can be startling, painful, and leave you feeling a bit jarred. Preaching is hard. As a speaker, you are putting yourself out there in front of a group of people. They may or may not like what you have to say. Public communication is a deeply personal thing, and that makes hearing negative feedback hard. And, if you have ever had to be the one to do it, giving negative feedback to someone you appreciate, admire, or care about can also be difficult. As a result, preachers rarely get negative feedback. Most of the time, the only feedback they get is from well meaning people who are a little too lavish with their praise. The bottom line is this: we have no regular feedback systems for preachers. They aren’t usually going to get it from their bishop, other priests, or their listeners. That means the level of concern they have is mostly determined by their own self awareness. There is a lot that needs to change before Catholic preaching as a whole becomes what it should be. However, one simple step could be a huge step in the right direction: systems for regular feedback. Our preachers need a small group of trusted people to provide regular feedback on their preaching. This can be difficult, because most often this will not be their peers, but the people who regularly listen. Here’s the thing, not everyone is qualified to give good feedback. Just like judging the quality of good cooking, there is absolutely an element of personal preference that enters in. The people who provide this feedback must be able to distinguish between personal taste and objective judgments. They need to be honest and not afraid to speak the truth in love. And finally, talent knows talent; they need to know what good preaching and public speaking really is. These are not always the same thing, and they have to be able to distinguish between them. Now, can we convince our preachers to setup such a system for themselves? Can they even find people to provide this important service? I don’t have the answers to those questions.